Recent events in Ukraine and the accession of Crimea into the Russian Federation have placed Eurasian politics at the top of the international agenda once again; after previously coming under scrutiny during the August War in 2008. Increasing Russian assertiveness in its near abroad has amplified the threat perception in the West with even rumors of a second Cold War appearing in international politics. 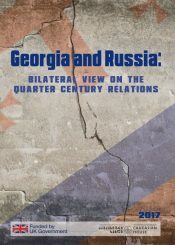 Russia’s increasing impact on the post-Soviet region has been noticeable since the beginning of the 2000s and the concurrent growing interest of the West towards the region created a tension, which broke out with the August War between Georgia and Russia and most recently with current events in Ukraine. The contemporary situation in the broader region reveals again the importance of the South Caucasus and underlines the fragility of the region in the face of Russia’s aggressive foreign policy. Peace and stability in the South Caucasus are vital not only for regional states’ independence and sovereignty but also for neighboring countries such as Turkey. The South Caucasus region has a significant place in Turkish foreign policy due to geographical proximity, shared history, and social and cultural ties. Although it can be argued that Turkish foreign policy has featured some ups and downs during last 20 years towards the South Caucasus, the main priorities of Turkish foreign policy in the region are very clear. Moreover, the latest developments in the Eurasian sphere demonstrate that Turkey has to involve itself more actively in the region in order to protect its interests at stake. Historically, Turkey was excluded from the region until the dissolution of the Soviet Union in 1991 due to the USSR’s closed system. The Turkish approach had always been cautious towards the region in order not to alienate and threaten the Soviet Union. Moreover, during the Cold War era, in the bipolar system, there were even periods of change; the main characteristic of Turkish foreign policy was its Western orientation. It is critical to underline that Turkey has followed carefully the introduction of glasnost and perestroika but was caught unprepared for the dissolution of the Soviet Union. However, Turkish foreign policy priorities in the region have been evident in the South Caucasus region since this period. First of all, independence, sovereignty and territorial integrity of regional states as well as stability and security in the region are essential for Turkey. Consequently, Turkey supports peaceful resolution of regional conflicts, which are threatening security and stability in a broader regional context. Secondly, Turkey aims to sustain the transition of regional states to democracy and a market economy. Integration of regional states into the world market is significant for Turkish national interest, which perceives the region as an essential part of its foreign policy priority and aims to increase trade relations. Energy security especially has become one of the hot issues of Turkish foreign policy since the mid 1990s. Turkey has supported construction of pipelines through this region which connects East to West and which increases Turkey’s role in the global energy market. Although Turkey has to consider the region in line with its various national interests, it is important to underline that Turkey is not the only external player in this region. The main feature of this region is the diverging and complementary interests of various regional and global powers. Therefore, Turkey aims to protect the balance of power and to prevent negative impacts from a conflict between external powers trying to increase their influence on the region. Additionally, this unexpected change in the region in 1990s ascribed to Turkey a new role: model country for the transition to democracy and a market economy. During 1990s, Turkey was introduced as a model country by the West to the Eurasian countries for their transition to democracy and a market economy; especially to Muslim countries in the region that acquired their independence after the dissolution of the Soviet Union. The main motives of the West’s lack of interest in the region in the beginning of 1990s were their policies that prioritized Russia and Eastern Europe as well as insufficient Western knowledge of the region. However, Turkey lost this opportunity due to its economic and political deficiencies for such a role in the mid 1990s. Since 2000, the resurgence of Russia and increasing interest from Western countries; mainly the EU and USA has complicated the political and economic scene of the South Caucasus. The South Caucasus, as a Regional Security Complex in the framework of Barry Buzan’s theory needs a multilateral approach to regional problems. According to Barry Buzan, a Regional Security Complex is defined as “a set of units whose major processes of securitization and desecuritization, both are so interlinked that their security problems cannot reasonably be analyzed or resolved apart from one another.” (1) However, members of this security complex are not able to establish a cooperative environment in the region essentially due to unresolved conflicts. The Nagorno Karabagh conflict between Azerbaijan and Armenia is the main obstacle before a cooperative environment can be established. However, to simply underline the deadlock and abandon any possibility for resolution cannot solve the problem, but this deadlock requires a solution. The role of external powers on this equation is very important especially when we evaluate the foreign policy inclinations of regional states. Regional states are searching for external supporters in order to protect their national interests but it is obvious that this is not sustainable in the long term. This picture illustrates that as an external power, Turkey has to develop a foreign policy that will support regional cooperation. Roy Allison argues that security multilateralism in the South Caucasus and Central Asia has been hindered due to several conflicting factors such as “internal authoritarianism within the countries of the region, a preference to devote resources to internal militaries in order to advance the process of state building, and the inclination of the countries involved to enhance security by means of bilateral relations with larger powers”. (2) Thus rather than bilateral relations, Turkey must give more importance to multilateralism and regional cooperation in the South Caucasus. In the South Caucasus regional context, security and the economy are two areas that necessitate urgent steps for developing cooperation. 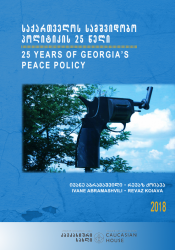 Firstly, separatist movements in Georgia and conflicting relations between Armenia and Azerbaijan situate security at the top of the regional agenda. 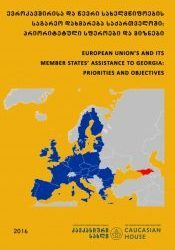 Security cooperation is the main priority of the region and the most difficult one to establish due to a lack of confidence and trust between regional states. Secondly, the economy is another field that regional cooperation can be established, but there are different obstacles that prevent such a cooperative environment. First the conflicting relationships between regional states; second different degrees of economic development; and lastly a dislike for future plans all put regional states in a spiral of non-cooperation. However, the Baku-Tbilisi-Ceyhan (BTC) oil pipeline and the Baku-Tbilisi-Erzurum (BTE) gas pipeline contribute extensively to regional cooperation. Although the informal economic cooperation between Turkey, Georgia and Azerbaijan creates hope for the future, at the same time it creates a threat perception on the Armenian side and also increases tension. The two main multilateral initiatives covering regional states that emerged under Turkish leadership are the Black Sea Economic Cooperation Organization (BSEC) and the Caucasus Stability and Cooperation Platform (CSCP). When international experts are analyzing the ineffectiveness of the BSEC, they underline the lack of a tradition of cooperation, as well as institutional and political dialogue. Furthermore Çelikpala underlines the lack of a spirit of regional cooperation and states “as long as the competitiveness at both regional and global levels feeds an attitude of non-cooperation, the region will continue to be perceived as insecure and unstable.” (3) Another initiative, the CSCP was proposed by the Turkish Prime Minister shortly after the August War in a very polarized environment. Its success was in having the support of all parties, Azerbaijan, Armenia, Georgia and Russia. However, the broad and loose content of this initiative with the changing international conjuncture prevented institutionalization of this platform. 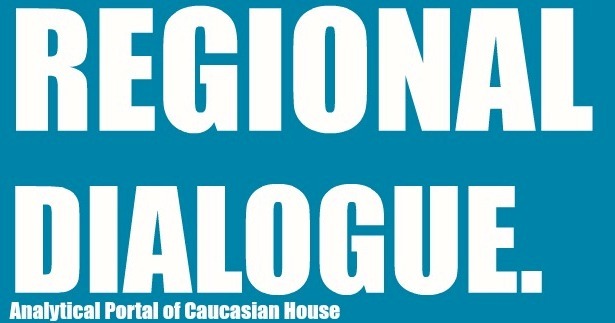 Accordingly, in this regional context, it is evident that Turkey has to support regional cooperation in South Caucasus but questions of “why” and “how” may appear from this hypothesis. Why Turkey has to support regional cooperation can be answered by analyzing opportunities and threats in the region. How Turkey may support regional cooperation can be answered by evaluating Turkish strengths and weaknesses. Therefore, it is necessary to make a SWOT analysis of the Turkish position in South Caucasus regional cooperation as a part of strategic thinking for developing foreign policy actions. The main threats for Turkey as they are obvious from its foreign policy priorities are the possible spread of instability and insecurity to Turkey due to geographical proximity as well as historical and cultural ties. Moreover, increasing involvement of any external party or any intervention will necessitate a Turkish reaction in order to protect the balance of power. Besides, an insecure environment for the energy sector will be harmful for Turkey’s position in the world energy market. Moreover, economic problems will influence Turkish trade relations. The August War in 2008 was one example of how regional instability influences Turkey. On the contrary regional stability and security will prepare the ground for Turkish economic interests in the region. Resolution of regional conflicts will be supportive for Turkish-Armenian rapprochement. Increasing economic relations will strengthen the Turkish position in the region. A cooperative environment in the region will increase trade relations between regional states and also with Turkey. As the BTC pipeline initiative demonstrates, such projects enhance the Turkish position in the energy sector and provide leverage to Turkey as a regional power. Energy resources coming from Azerbaijan provide the Turkish energy sector with the possibility to diversify its exports. This decreases its asymmetric dependence on Russian resources. Moreover, energy transit routes increase the geopolitical importance of Turkey. Turkey is an important player in a regional context due its historical, cultural and social ties with the region that can not only support but also harm its position in the region. Current good relations with Azerbaijan and Georgia provide to Turkey a good example of the benefits of regional cooperation. The Turkish economy is highly developed compared to the region, giving Turkey the opportunity to support economic development in the region. Turkey’s geographic position provides an alternative road as a bridge connecting these countries to Europe. However, when we evaluate Turkey’s political and economic capacity, it is obvious that Turkey cannot afford all the burdens of the region. Turkey needs backing and Turkish candidate status in the EU is an important asset for Turkey. Turkey’s problematic relations with Armenia hinder its role in the region. The importance and prominence of Azerbaijan in Turkish foreign policy has had a determining impact on Turkey’s relations with Armenia. 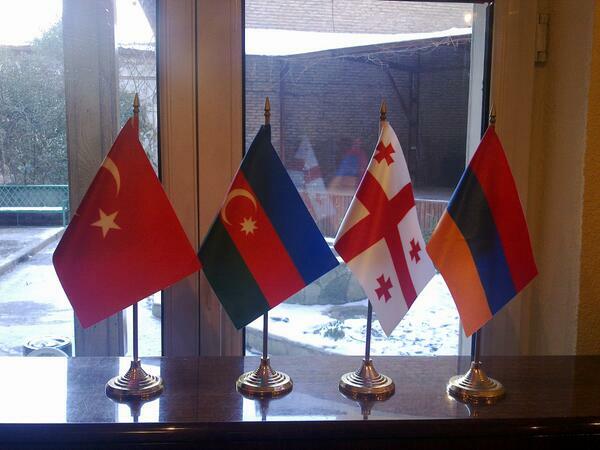 (4) However, this type of relationship weakens Turkey and Azerbaijan’s hands and reinforces the deadlock. In conclusion, Turkey’s relations with the South Caucasus are not optional rather it is a necessity; it is an essential part of Turkish foreign policy. Accordingly, although Turkey has made significant progress with its relations with South Caucasus countries during the last ten years especially in the economic field, Turkey needs a more pro-active approach towards the region. 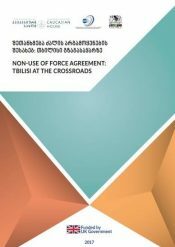 The Russian–Georgian War and the recent crisis in Ukraine have increased the need for a multilateral initiative in the region that expands the role of Turkey as a probable balancing power against increasing Russian assertiveness in its near abroad. Turkey has to foster multilateralism and regional cooperation. Turkey has to work up projects, which will enhance confidence and trust building in the South Caucasus. Turkey must cooperate with the EU in order to coordinate policies towards South Caucasus’ countries, which will improve the cooperative environment in the region. Lastly, it is essential to highlight that Turkey has to resolve the current turmoil in its domestic politics in order not to miss this historical chance that the current conjuncture provides. ——————————————————————————————————————— (1) Barry Buzan and Ole Wæver, Regions and Powers: The Structure of International Security, (Cambridge: Cambridge University Press, 2003), p. 44. (2) Roy Allison, “Limits of Multilateralism”, NBR Papers, 2003, 14, 3, p.23. (3) Mitat Çelikpala, “Escalating Rivalries and diverging interest: prospects for stability and security in the Black Sea Region”, Southeast European and Black Sea Studies, 2000, vol. 10, no. 3, p.290. (4) Mitat Çelikpala, “Turkey as a Regional Power and the Caucasus”, Insight Turkey, 2007, vol.9, no. 2, p. 27.